For Bennie Railplane (between Mingavie and Hillfoot stations), see NS57SE 101. (Location cited as NS 556 743). 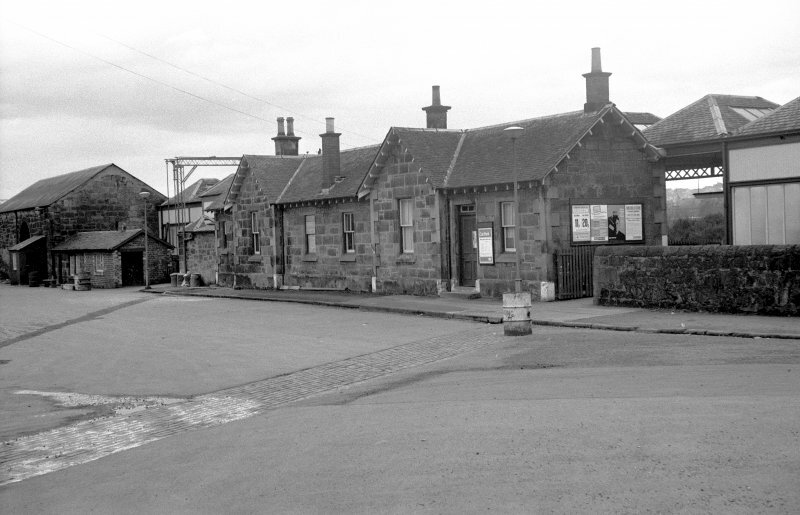 Milngavie Station, opened 1863 by the North British Rly. 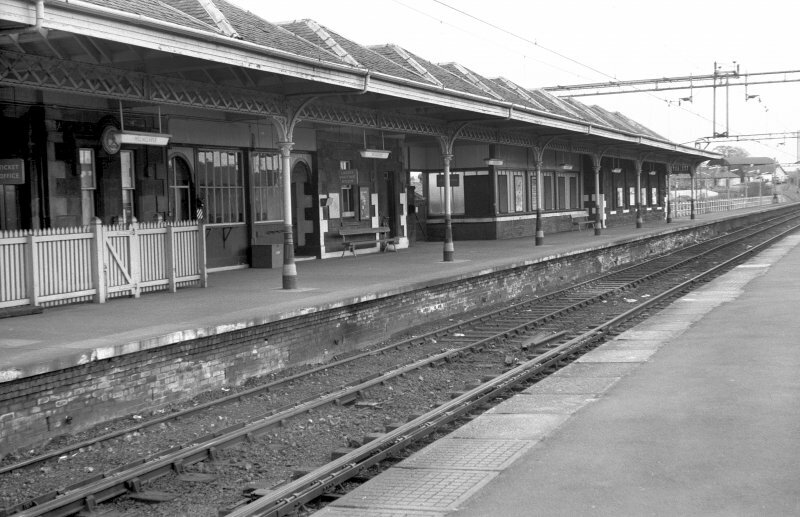 A three-platform terminal station, with offices in a single-storey, seven-bay rubble building, extended by a 12-bay steel-framed glazed awning supported by cast-iron columns. 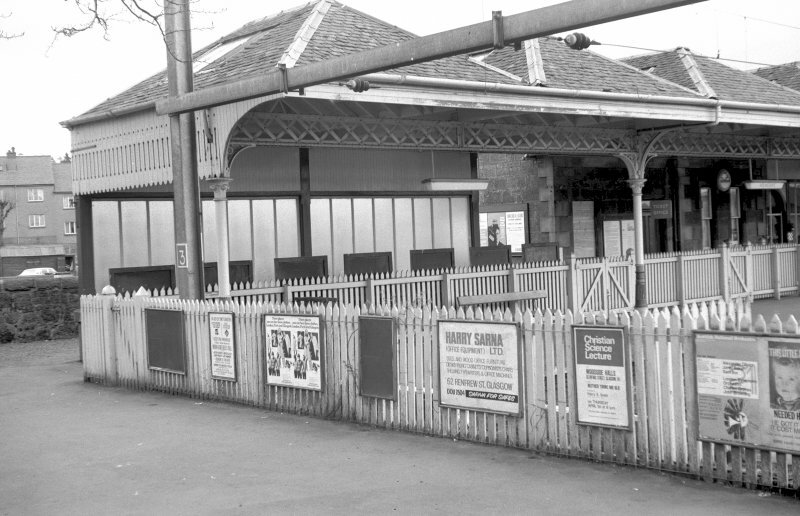 There is a rubble goods shed and on the island platform, a small wooden shelter. 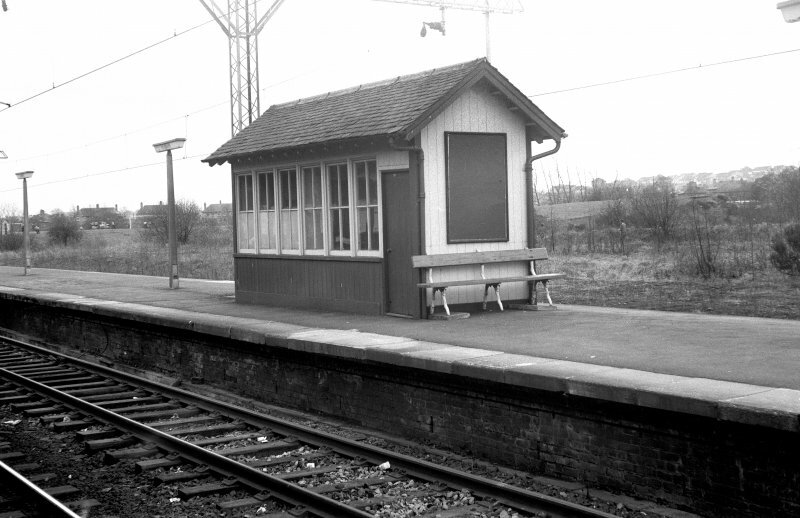 This terminal station on the Milngavie branch of the Glasgow suburban system was opened on 28 August 1863 by the Glasgow and Milngavie Junction Rly, which was subsequently incorporated into the North British Rly. It remains in regular passenger use. Information from RCAHMS (RJCM), 22 October 1997. 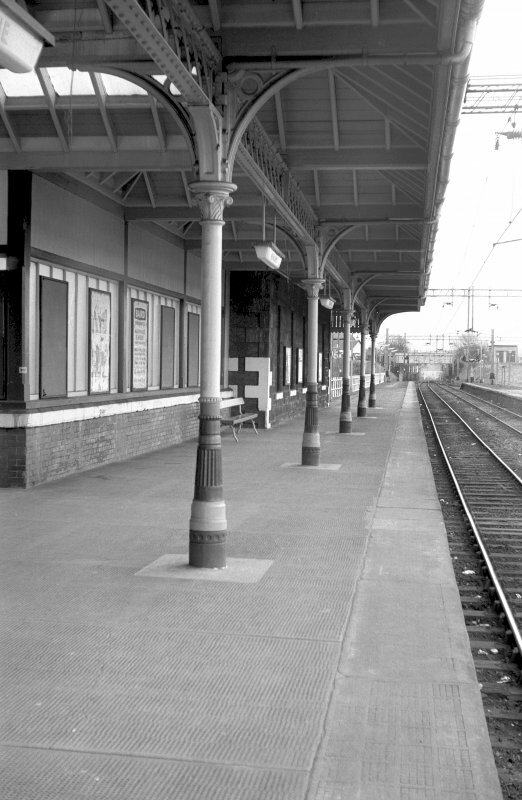 Following completion of the renovation of Milngavie railway station, in July/August 1998, RCAHMS conducted a photographic survey of the same. The purpose of which was to enhance and augment the existing holdings of the National Monuments Record Scotland. Visited by RCAHMS (MKO), May 1998.